Melissa Campbell is a member of Cloudburst’s Housing and Community Development practice. Ms. Campbell provides technical assistance support for the development and implementation of housing, community development, and economic development programs. Prior to her current role at Cloudburst Group, she served as an Economic Development Project Manager for the City of Atlanta. 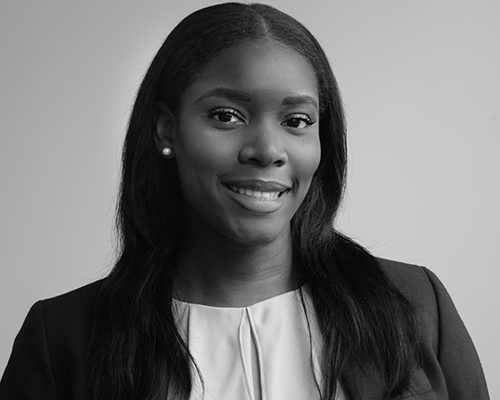 Ms. Campbell has also previously served as an Assistant Project Manager with a D.C.-based program management firm and has also worked on urban revitalization projects in Downtown Detroit with a newly developed full-service real estate development firm. Ms. Campbell earned her Masters of Real Estate Development and Finance from Georgetown University where she focused on real estate and urban development. Prior to her graduate studies, Ms. Campbell completed her BA in Political Science and Business Management at Oakwood University in Huntsville, AL.